Guinness World Record holder for the recording the highest number of songs in Indian Cinema singer Dr. S.P.BALASUBRAMANYAM comes to Pondicherry. Along with most astonished stage shows ORCHESTRA performer LAKSHMAN SRUTHI TEAM. Be prepared for an unforgettable musical treat, the likes of which will keep us on our toes. 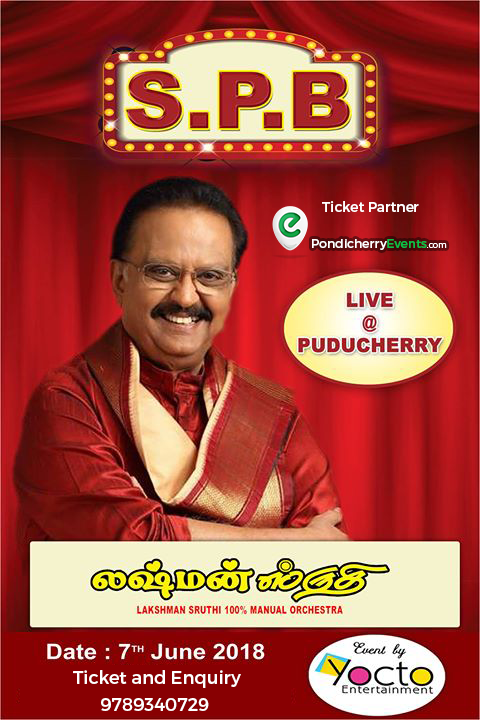 The Tickets only available at PondicherryEvents.com - Official Ticket Partner.